This information should make it easier for the net control stations to come up with a topic for the Thursday night net. The Topic was: Will you be attending/supporting upcoming Club events...NVIS Day 4-22; Trunkfest 6-10; Field Day 6-24-25 and M. Gilbert Special Event 7-15-16. The Topic was: "share one of your most memorable experiences involving the HAM radio hobby"
The Topic was: Participation in NVIS Day and other Club activities in support of YOUR Club. Personal Weather Station or instruments, Online, TV, Radio, NOAA weather radio, etc. The Topic was: How to generate earned income for the UCARC. The Topic was: What sparked or grabbed your interest to get into Ham Radio? (E.g., FM walkie talkies.) Was there a radio (TR-2400) or a kit that you finally got, and how did that work out for you? Now that you are in Ham Radio, what is it that you now want to do (e.g., EME)? The Topic was: Birthdays, What do you do to treat yourself on your birthday, How do you give hints to family members for a present you need in the shack? The Topic was: What was your favorite food growing up and what made it most memorable? The Topic was: Everyone tested out the range of their radios and antennas. We discussed antennas and what repeaters everyone could get into from their location. The Topic was: What did you accomplish over the summer and what is your opinion about DMR, do you use it, like it, etc ? The Topic was: Ham Radio Streaming Video Shows & Useful Ham-radio websites. The Topic was: What base station would you recommend for UF/VHF and HF and why?” Do you prefer separate radios or a multiband radio that includes all three? What are the basic tools or equipment beyond your radio and antenna that you couldn’t live without as a ham radio operator? The Topic was: Emergency Drill for short, concise reports for efficient Net ops. The Topic was: Club activities, likes, dislikes and suggested improvements. 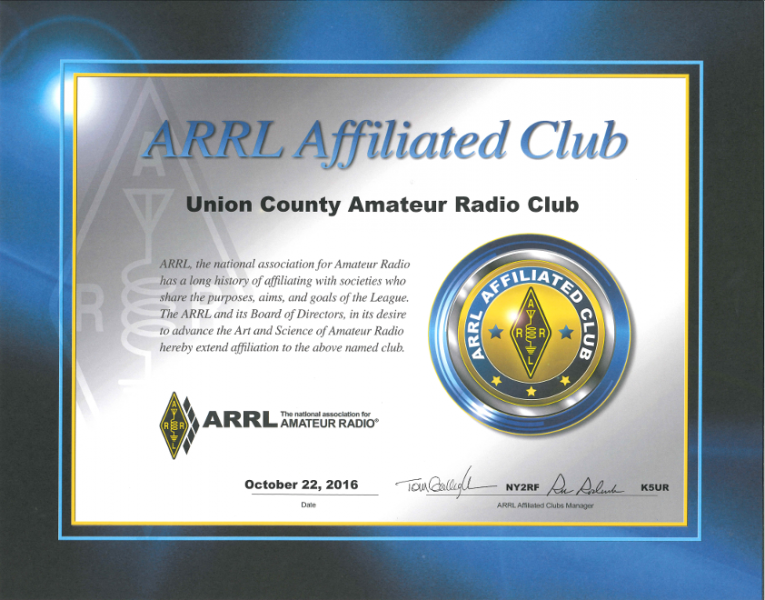 The Topic was: ARRL Awards or any Ham Radio awards you are pursuing or have pursued? Did you participate in the UHF/VHF contest recently held?? What is 'your next big thing to do in Ham Radio'? The Topic was: Resources for amateur radio: Where do you look for answers for amateur radio related questions? Do you have a favorite resource, like a book, website, online forum, net, etc ? The Topic was: If you didn't have to sleep, what would you do with the extra time? This did not include running water, electricity or internet that are all now essentially utilities. In my case it was the DVR that allows me to watch TV on my schedule instead of someone elses's and to pause live TV to answer the telephone, etc. The Topic was: Share an Ah-Ha moment in your Ham experiences. Do you have any advice about the hobby you would like to share with someone that is newly licensed? This could be a resource like a net, podcast, website, book, etc or advice about acquiring new and used equipment, recommend must have equipment or tools, favorite hamfests, etc. New Hams: Do you have any questions about operating, equipment/radio, tools, etc you would like answered in the 73 round? If so, please ask. What has been the most challenging or rewarding thing you have done so far with your new license? Programming a radio, getting a radio/antenna, etc. The Topic was: What activities would you like to see the Club do or teach? 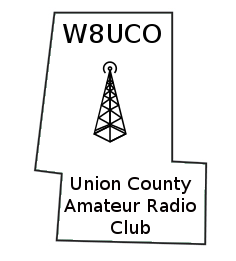 The Topic was: NC was N9ACC/8 using Club call sign W8UCO. OK, last week you got to list what you wanted the Club to do. NOW, which one(s) of those/your ideas would you be willing to Lead or at least help present to make the Club how you want it to be? The Topic was: How do you program your radios and how frustrating is it? The Topic was: Your favorite item of ham equipment or tool. And Why? The Topic was: what is your radio gear and what antennas do you use . The Topic was: Projects planned, finished? etc? Mars (planet) Do you forsee any colonization in our (or some of our) lifetime? What's something you wish you knew when you first began in amateur radio? The Topic was: What was one of your greatest challenges as an amateur operator and what did you learn from it? The Topic was: How have you used knowledge learned in Ham radio in some other en devour in life? E.g., I used my knowledge of Morse Code for real as a Navy pilot to get the frequency the ship was waiting for us on. The Topic was: Batteries, uses, favorites, comments, etc. The Topic was: what got you into ham? The Topic was:Your first outside antenna. What is / was the most odd or untraditional food you’ve had for your Christmas or Thanksgiving meal. What kind of topics or situations have you used where YouTube educated you or bailed you out? This net lasted only 27 minutes.